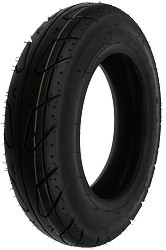 Tire for the Oxygen® Lepton electric scooter. Size 3.50-10. 6 ply rated. DOT P6 approved. Sidewall 2 plies. Load range C. Maximum load 430 pounds. 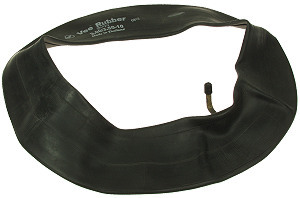 Inner tube for the Oxygen® Lepton electric scooter. Bent valve stem. Size 3.00/3.50-10. 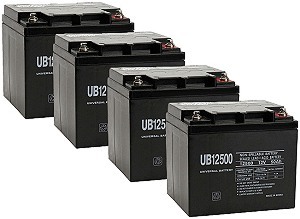 Set of four 12 Volt 50Ah SLA batteries for the Oxygen® Lepton electric scooter. For Lepton electric scooters with SLA battery packs. Includes 12 month battery replacement warranty. 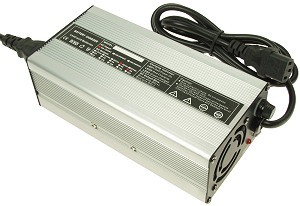 SLA battery charger for the Oxygen® Lepton electric scooter. For SLA batteries only. Not compatible with Lepton electric scooters that have Evercel Ni-Zn batteries. Includes 12 month warranty. Charger rating 48 Volt, 6 Amp. 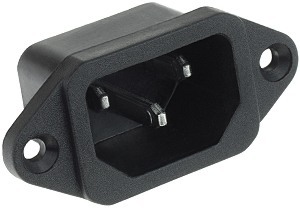 Battery charger port for the Oxygen® Lepton electric scooter. 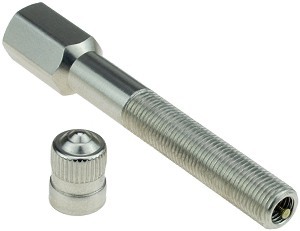 2-1/2" long chrome-plated brass valve stem extender with cap for the Oxygen® Lepton electric scooter. For filling hard to reach valve stems. 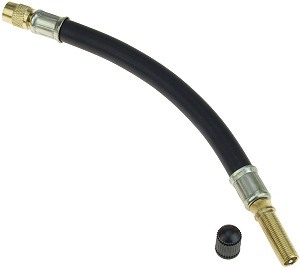 7-1/4" long flexible valve stem extender with cap for the Oxygen® Lepton electric scooter. For filling hard to fill valve stems. Reinforced rubber hose with solid brass hardware. Instantly seals punctures in the tread area up to 1/8". Remains liquid, evenly coating the inside of the tube. Non-flammable, non-toxic, water soluble, easy to use. 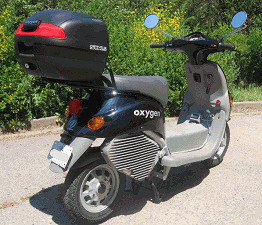 For the for the Oxygen® Lepton electric scooter use one bottle of sealant per tire. 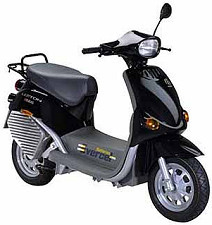 ElectricScooterParts.com carries parts and accessories for the Oxygen® Lepton electric scooter.